Erin lives in Southern California with her husband, a Golden Retriever, and a very fat cat. She is a craft addict who loves to do something creative every day. Her current loves are mixed media art, scrapbooking, papercrafts, sewing, and screen printing. Erin’s creative journey began as a child when she collected her memories in a scrapbook…albeit one filled with acidic things and original, non-digital photos. She forgot about those scrapbooks for many years when her Grandmother taught her how to sew, knit and other crafty things. It wasn’t until she was engaged to be married that the lure of photos and memories once again captured her heart. 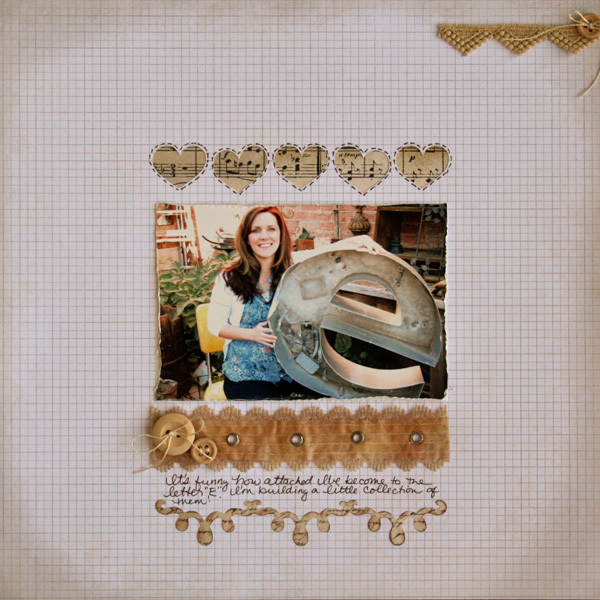 Today, her favorite scrapbook subjects are her family and pets. Erin tends to scrapbook the everyday moments more than the big events of life, and is a firm believer in not keeping all of her scrapbook pages in albums. She rotates having the pages and mini-albums on display throughout her home along with many of her mixed media canvases. 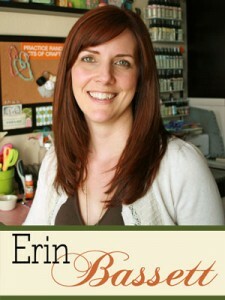 Erin loves sharing her love of all things artsy on her blog (erinbassett.com) and in the classes and events she teaches at. She has also had many of her projects published in various magazines and books and considers it a blessing to be able to call her passion “work”.